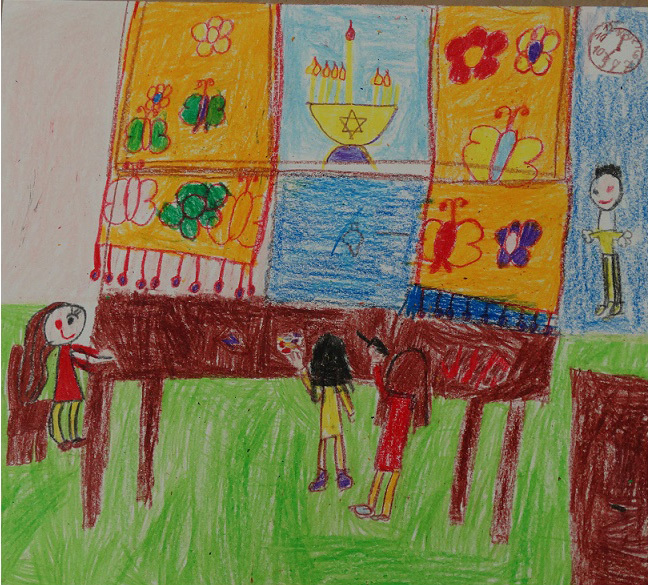 A teacher in Hungary used testimony to introduce some of her school’s youngest students to Jewish culture. Szilvia Szunyogh is a graduate of USC Shoah Foundation’s Teaching with Testimony in the 21st Century professional development program in Hungary. She led her second grade art students at Hermann Ottó elementary school in Miskolc in a lesson on winter holidays such as Hanukkah – one of a series of lessons on holidays, including Easter and Passover, in which she shows testimony clips from the Visual History Archive. 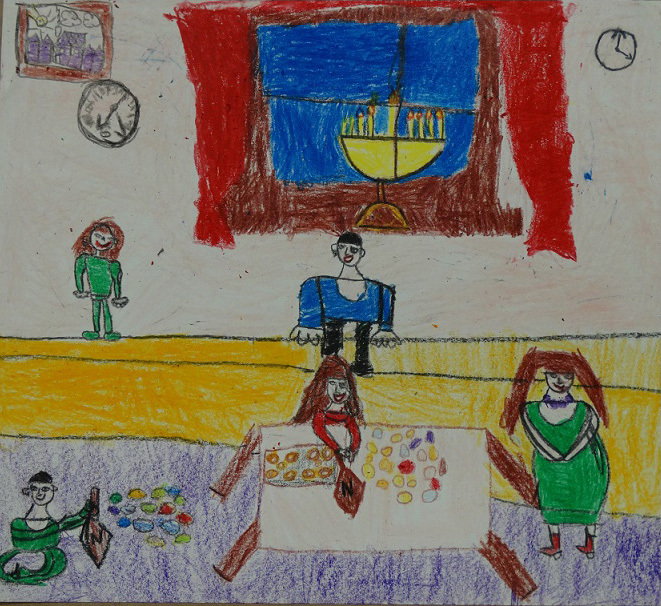 Szunyogh showed the testimony of Károly Tímár, who describes how he celebrated Hanukkah, including lighting the candles, eating donuts and playing games. 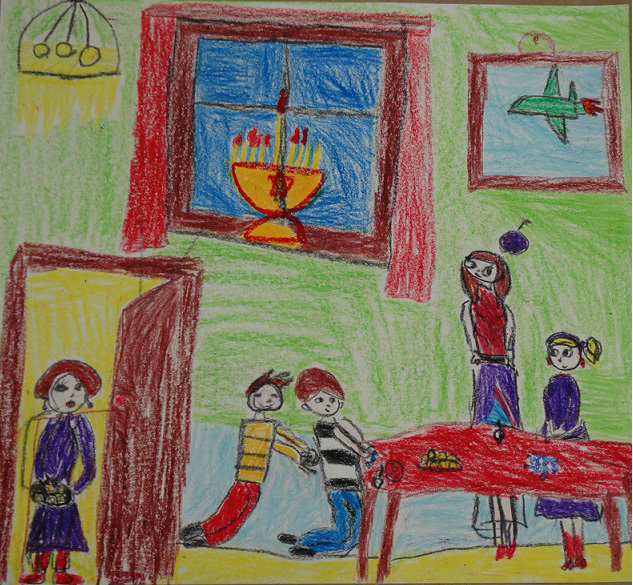 The students then drew pictures of Hanukkah celebrations. Szunyogh’s school superintendents came and observed the lesson and were “blown away” by the lesson and Szunyogh’s use of testimony, said USC Shoah Foundation International Training Consultant Andrea Szőnyi. The school has many low-income and Roma students, and the superintendents said this is way educators should teach – and maybe then there would be less hatred toward Jews. After graduating from Teaching with Testimony in 2014, Szunyogh has incorporated testimony throughout her art and media classes. Szőnyi said that Szunyogh uses testimony wherever she can find a connection – for example, her eighth grade students work with testimony clips when learning how to make storyboards – and it has become part of her culture of teaching.